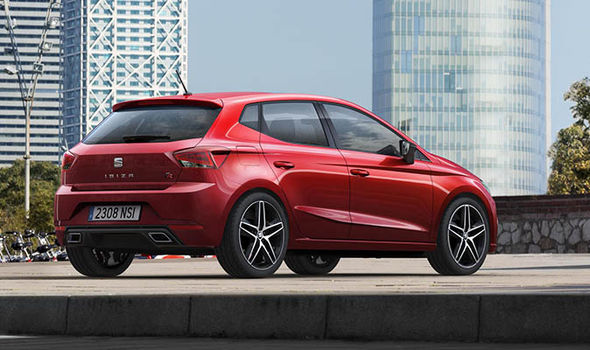 Seat Ibiza 2017 will go on sale in the Uk with prices starting at just £13,130. The Spanish car manufacturer has completely redesigned the supermini from top to bottom, giving the car a fresh new look, power options and features. 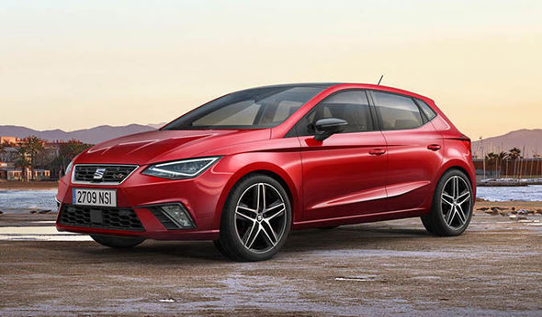 “Ibiza is an iconic model for SEAT, a best-seller that’s been at the heart of our line-up for more than 30 years,” said Richard Harrison, Director, SEAT UK. With the new car, Seat has opted to only produce five-door variants with customers after increased practicality. The new car is shorter and lower than the previous generation but it has been made 87mm wider. The track is 60mm longer at the front axle and 48mm at the rear axle and the distance between the two is 95mm. What the result of this is increased room inside the cabin with 35mm more legroom in the back and head room in the front and back increasing by 24mm and 17mm respectively. Boot space has also been enlarged by 63-litres to 355-litres, making it one of the best in its class. As part of the car’s reinvention, it has been given facelift and it now sports a more youthful and sleek design. The new headlight design, which can be available as fully LED, also helps to distinguish it from the previous generation. More energy efficient engines have been made available to the updated Ibiza range too. The first option is the three-cylinder 1.0 TSI with 95 or 115PS, along with a turbo-compressor, intercooler and direct injection. A new EVO 1.5 TSI unit will also be available in late 2017 with four cylinders and 150PS. Efficient 1.6 TDI diesel engines will come in 80 and 95PS guises in the UK. The standard gearboxes available are a manual five-speed transmission for the 95PS and lower engines and a six-speed transmission for the more powerful engines. A seven-speed dual-clutch DSG-auto gearbox will also be available. Seat say they have focused on noise cancelling inside the cabin in a bid remove vibrations and reduce the volume of outside sound bleeding into the car. Four trim models will be available when it goes on sale: The S, SE, FR and Xcellence. The top of the range Xcellence trim focuses on making the Ibiza more luxurious and comfortable. New tech updates make this a serious competitor in the supermini category. Seat have now joined up with Beats to create an audio sound system with 300W amplifier inside the car. Other tech features available are wireless charging, Apple Car Play, Android Auto and Mirror Link all controlled by an eight-inch touchscreen. Safety tech and driver assistance features now include Front Assist, Adaptive Cruise Control, Keyless Entry System, front and rear parking sensors and a rear view camera.